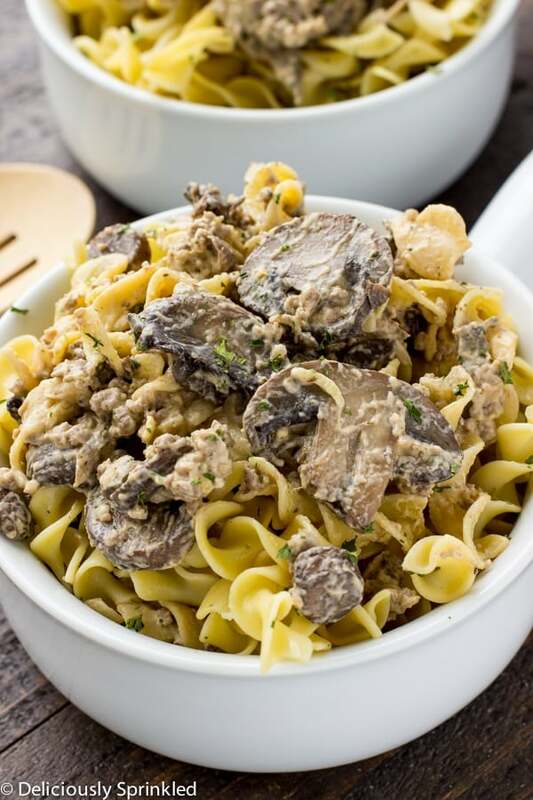 This Instant Pot Hamburger Stroganoff is easy, creamy and ready in less then 30 minutes. It’s the first full week back to work and that means it’s back to regular programming. I usually plan out what we are having for dinner for the week on Sunday nights and I go grocery shopping on Monday. I’m all about making easy dinners because at the end of the day, I just don’t have the time or the energy to make a big, fancy dinner and we try not to eat out at all during the week. 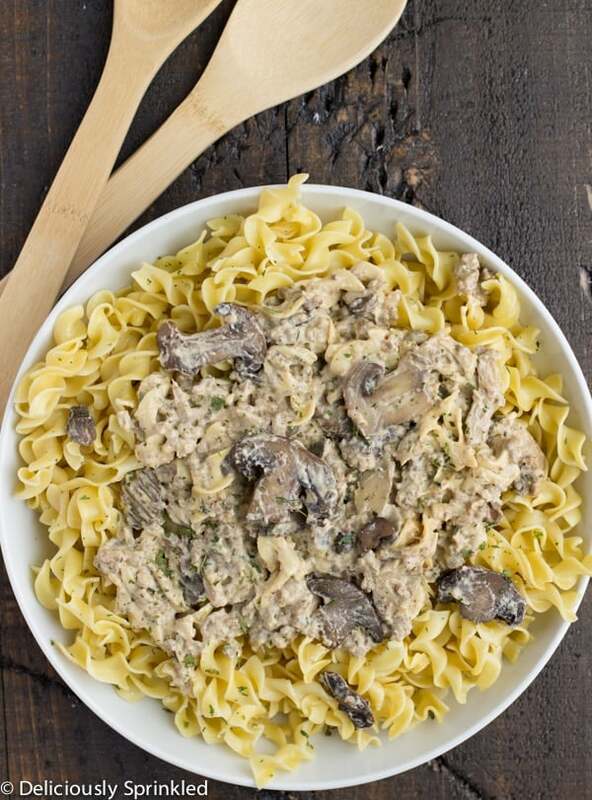 So one of things that I love about my Instant Pot, is that I can make our favorite family dinners in less then 30 minutes. 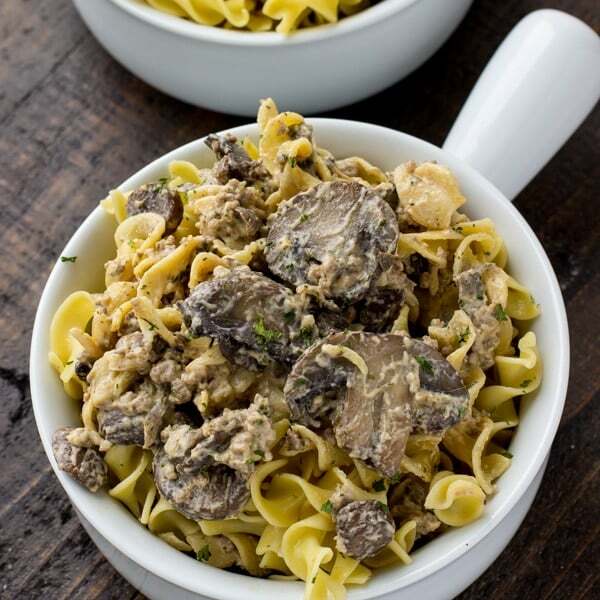 I use to make this Hamburger Stroganoff in my slow cooker but I love that I don’t have to remember to start making it 4 hours before we want to eat dinner. 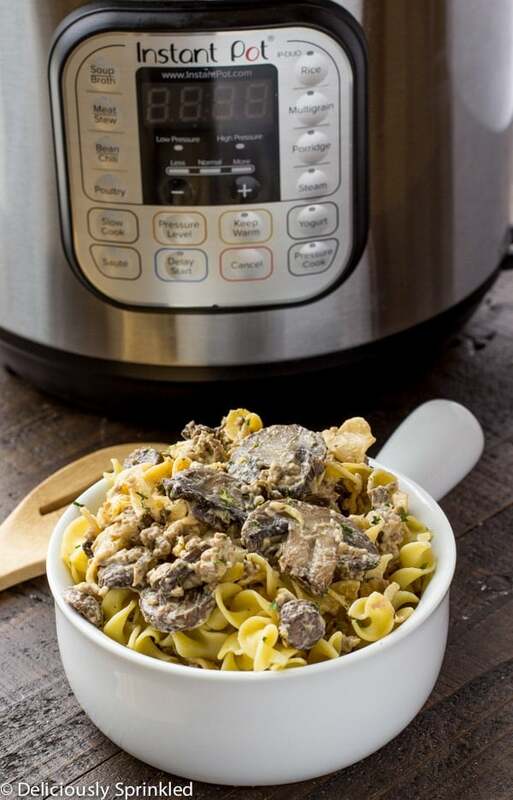 This Instant Pot Hamburger Stroganoff is easy to make, creamy and full of flavor. Serve it over noodles or rice. 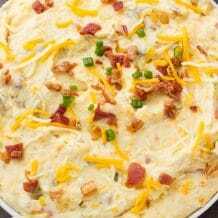 It’s seriously one of our favorite dinner’s…it’s SOOO GOOD! STEP 1—> BROWN THE HAMBURGER: Place the ground beef, onion, mushrooms and garlic into your Instant Pot. Press the “saute” button and brown the meat until fully cooked. STEP 2—> ADD THE FLAVOR: Add the beef broth, cream of mushroom soup (you could also use golden mushroom soup), ground pepper and the best part, one packet of dry ranch seasoning mix. 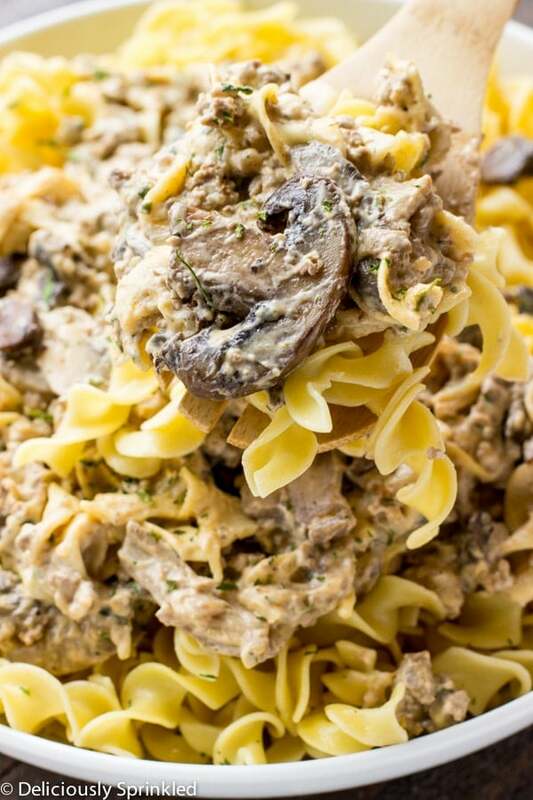 STEP 3 —> ADD NOODLES & COOK: If you don’t want your noodles to be mixed in with the stroganoff then just skip this step and cook your noodles separately. Cook on high pressure for 6 minutes. Natural release for 5 minutes then quick release. STEP 4—> STIR IN SOUR CREAM & ENJOY: After the quick release, stir in sour cream. 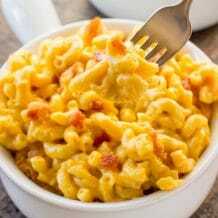 Top with parsley and enjoy. STEP 1: Press the "Saute" button, brown the hamburger, onions, mushrooms and garlic. STEP 2: Stir in cornstrach. STEP 3: Add broth, soup, pepper, and ranch seasoning mix. Stir together. STEP 5: Cover the pot and make sure the vent on the top of the cover is set to "Sealing". Press the "Pressure Cook" or "Manual" button on high pressure. Set timer to 6 minutes. Natural release for 5 minutes and then quick release. STEP 6: Carefully open lid. Stir in sour cream. Serve and top with parsley. Help! I had burn notice on my instant pot. Doe them indicate that here isn’t enough liquid? I think the noodles are done enough that we can eat it, but it burned the hamburger. 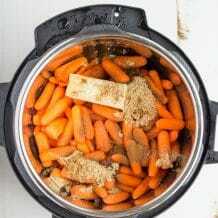 I am still learning about instant pot cooking. OH NO! It usually does indicate that their isn’t enough liquid but there should be plenty of liquid with the broth and soup!?! Did you stir the broth, soup and ranch seasoning mix together with the hamburger, maybe try that next time? I wish I could help you out, I’ve never had the burn notice come on every time I’ve made this…hmmm! ?